Leaders play a pivotal role in the success or failure of business organizations and society. Leaders are important not only because of what they do, but also because of what they represent in people’s minds. Nevertheless, numerous cases of corruption have cause a leadership crisis, creating a feeling of mistrust in political and business leaders. If leaders want to win back people’s respect and trust, they need to provide true leadership. It’s not enough to have a senior management position. The effective leader needs to show his or her most human side, and to establish genuine relations with their subordinates. 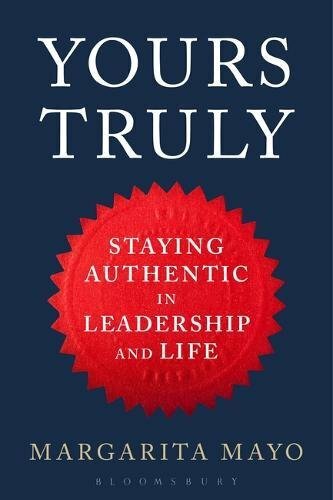 What constitutes the profile of a truly authentic leader? Consistency: The true leader is faithful to him or herself and to others. There is coherence between what they say and what they do. This does not mean that they always behave in the same way, but rather that they learn and adapt to context, but they do act in accordance with their own values. They say what they do and do what they say, and that level of consistency inspires confidence. Passion: They enjoy the work they do and transmit this positive attitude to everyone around them. Their passion is contagious. When a leader shows their emotional commitment to group objectives, others start to feel the same passion for their work. Authentic leaders lead with their heart. Their positive feelings inspire and motivate their followers. Honesty: The true leader acts in accordance with their own ethical code which hinges on the principles of integrity and common wellbeing. It is not a question of only being faithful to one’s self because that is a false form of authenticity. The true leader maintains a balance between him or herself and others. Leaders have a dual responsibility, to themselves and to society. Strategic vision: Authentic leaders have a global vision of the organization. He or she sees an organization where others can see themselves and contribute. This general vision permits the leader to prioritize and determine what is really important. Their team and organization can center on key tasks using resources in an efficient manner. Humility: Humility is a sign of a true leader. Some CEOs project a narcissistic image, the true leader has a balanced perception of his or her virtues and limitations. They are convinced that they need others to achieve success, and seek shared leadership. They recognize the work and efforts of others and share their moments of triumph with them. Flexibility: Authentic leaders are consistent with their principles but flexible in their habits. They have an entrepreneurial facet. The authenticity of the leader evolves over time. Open to new ideas and projects, they have a strong orientation toward learning. They acquire new leadership habits that permit them to successfully adapt to new situations. Empathy: Empathy plays a key role in being true leader. The perception that others have of the leader is what determines his or her authenticity. When the leader establishes honest relations with their team, they are able to hear their feedback. Assimilating this feedback in a constructive way enriches the internal compass that guides true leaders. Exemplary conduct: Authentic leaders are an example to follow, particularly when the going gets tough. When others balk in the face of adversity, the true leader comes into his or her own. He or she shows resilience in the face of problems and their stories of courage inspire and give rise to admiration among others. They provide a behavioral model that motivates their followers to imitate them. Attentiveness: Beyond personal interests, a real leader is attentive. True leaders strive to create an environment in which others can also grow and develop their careers. They serve others, their sharing approach creates a climate of psychological security that promotes initiative and innovation. Lasting legacy: Leaders who serve others will remain in people’s memories because they leave behind symbols or rituals that transmit their values. Others will remember them not only for their professional successes, but more importantly for how they made them feel. Authentic leaders leave a legacy that endures beyond their time at the helm. In short, a truly authentic leader shows passion for what they do and transmits it to others by creating a climate of optimism. They have a balanced vision of their strengths and weaknesses. They seek others’ opinions and publicly recognize their contributions. Not content with the status quo, they seek continuous professional growth and development. True leaders look beyond personal interests and work for common well-being. A true leader does not have the mentality of a superhero, but rather the humility of a collaborative person. To read the article in Spanish, published in El Confidencial, click here.